This page is purely Memory Lane. Good times. For samples of my grab-shot photos click here. 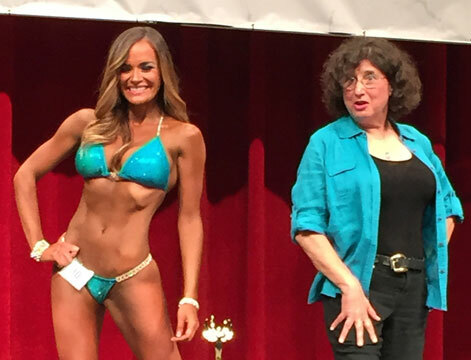 Posing down the bikini champ at the ’15 NPC West Coast Classic. With my girls, Nancy DiNino (left) and Carolyn Bryant, shaking up the Arnold Expo. Interviewing top official Steve Weinberger and Jim Manion, president of the National Physique Committee and head of the International Federation of Bodybuilders Professional League. 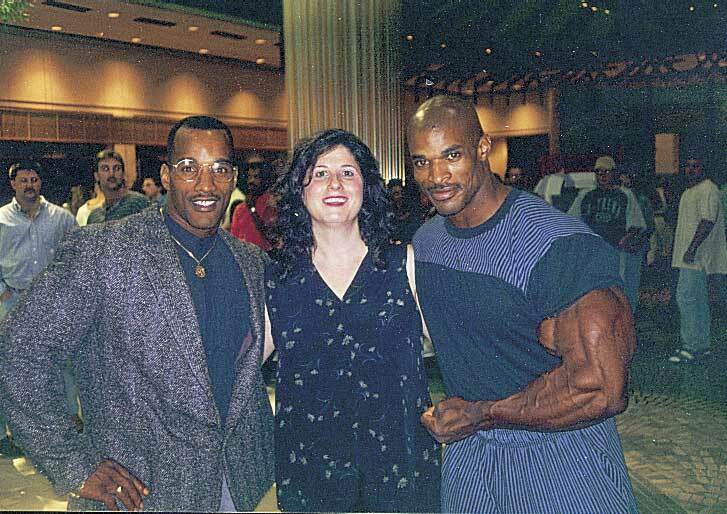 Meeting big, good-looking guys at the ’96 Mr. Olympia, in Atlanta: Darrem Charles (left) and the future eight-time Mr. O, Ronnie Coleman. 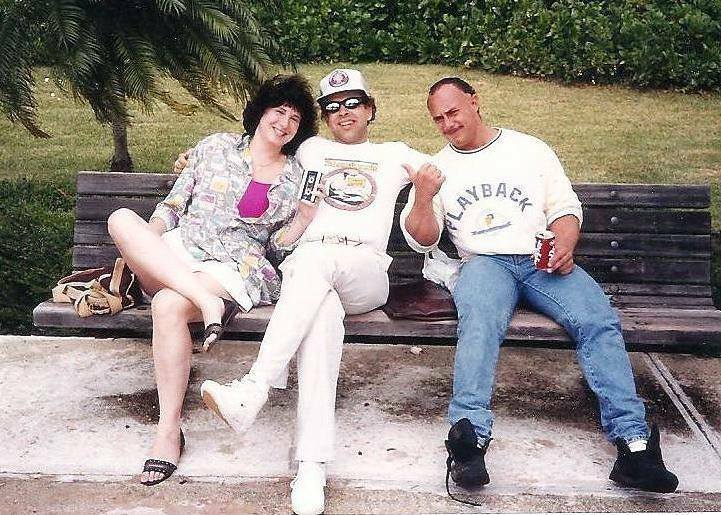 At the Men’s Nationals in Miami back in the day with my longtime colleague Lonnie Teper (center) and a guy named Sweetpea. 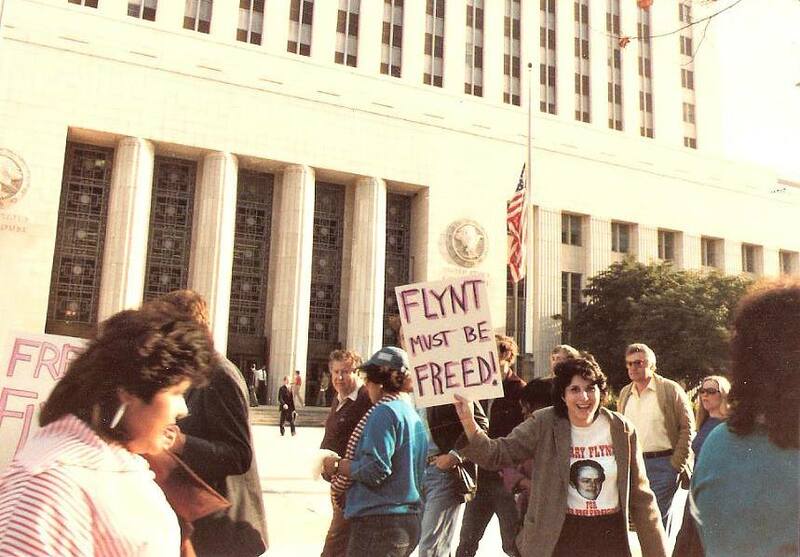 Throwing myself into the circus during the Hustler days: sharp skills and an even sharper sense of humor were required.